Once again, I have proof of the existence of garden fairies. 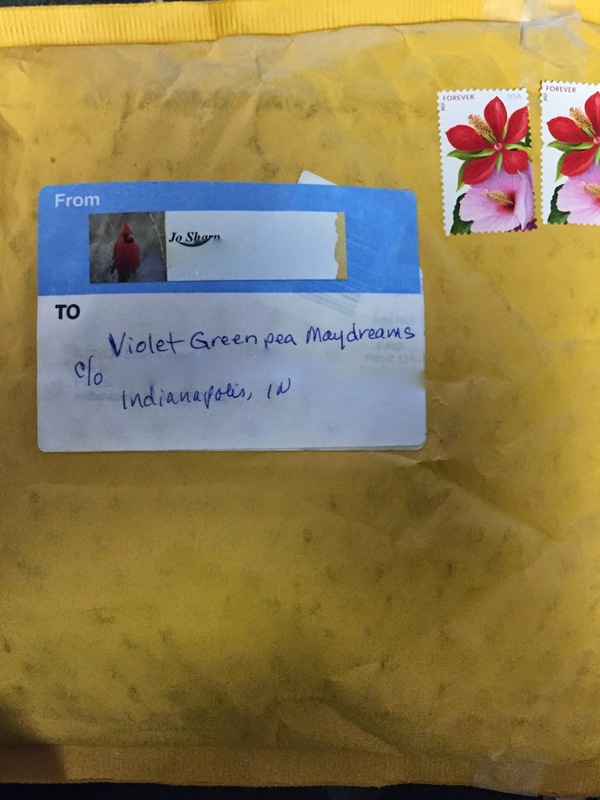 Evidence in the form of mail delivered by the postal services to one Violet Greenpea Maydreams, a garden fairy. What further proof do you need? And here are the little tools that were in the envelope along with a note. 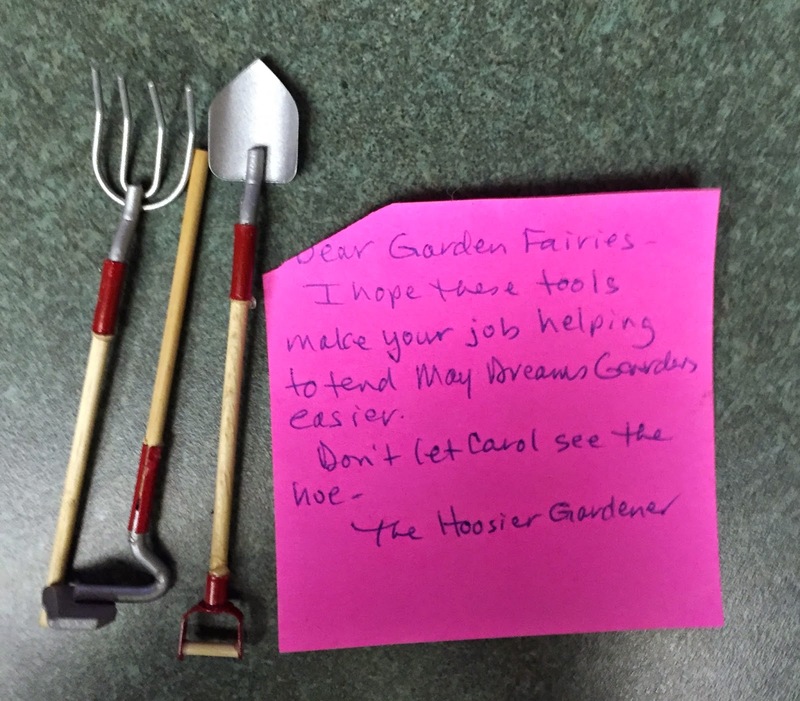 Violet, clearly a garden fairy, is very grateful for both the mail and the tools, which were sent by the Hoosier Gardener. Though, as a garden fairy, she would like it to be known that this will not in any way increase the work the garden fairies do in the garden. Not in any way at all. Now, go believe in garden fairies. It's good for your garden, and who knows, they might get some nice tools that you can take from them and call your own. Because yes, I took the hoe. You had better warn them - now the U.S. post office knows they are there, they'll be getting tax notices and census forms! Maybe the fairies will let you keep the hoe for your collection at least until they need it. Stealing from the garden fairies ... that can't end well.